The Office of the Prosecutor General has begun an investigation into the assailant. The suspect, named as Ahmad A., is facing charges of murder and attempted murder by inflicting dangerous bodily injuries in five cases, the statement reads. Authorities confirmed after the attack that the suspect was known to have been radicalized, but said that the 26-year-old hadn’t been considered dangerous. The investigation now states the man decided two days prior to the attack to launch an assault, hoping to die as a martyr. According to the latest findings of the investigation, “there is likely a radical Islamist motive” for the assailant, authorities announced. 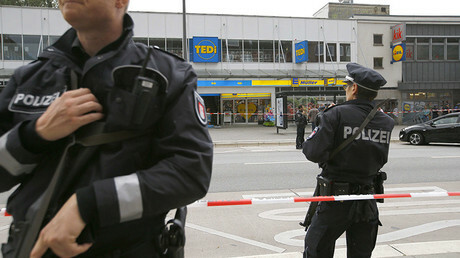 The suspect entered the Edeka chain supermarket at around 3pm on Friday, took a knife with a 20cm blade from the shelves and attacked the nearest customer, who later died from the injuries sustained. Before leaving the supermarket he injured one more person and continued the attack outside, stabbing three others. With earlier claims stating that the man acted alone and was “mentally unstable,” the prosecution says there’s so far no evidence to conclude Ahmad A. belonged to Islamic State (IS, formerly ISIS/ISIL) or any other terrorist group, or had accomplices. The man, of Palestinian origin, was born in the United Arab Emirates and sought asylum in Germany in 2015. Having had his application rejected, Ahmad A. was supposed to be deported as soon as the papers would arrive, according to German media. 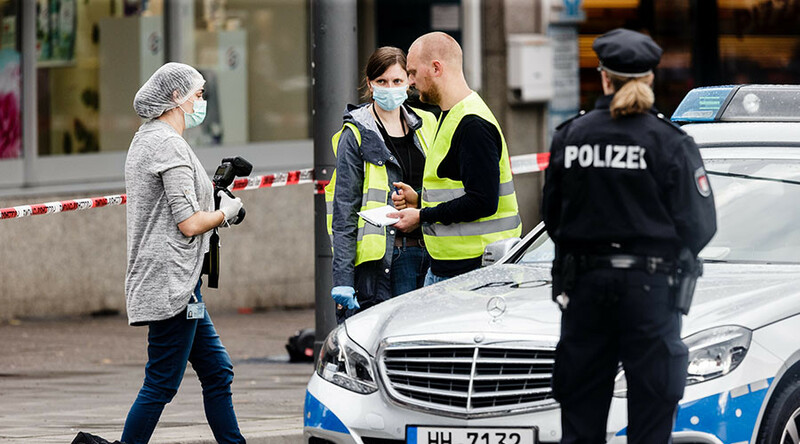 In February, a lone attacker killed one person and injured two more, as he drove a rented car into pedestrians in the central square of the southern German city of Heidelberg. Armed with a knife, the man tried to flee, but was shot by police after a brief standoff. Security services have some 680 radicals under its watch, according to the report. Roughly 24,400 Islamists reside in Germany, with younger generations being more prone to terrorist recruitment.